The Sixton Peak Verona Ankle Boots offer excellent protection in the workplace, reducing the risk of accidents and injuries. Suitable for indoor work environments, the boots protect against food and chemical spills and have anti-slip properties to ensure stability. The anatomical design provides optimum support and comfort while the plastic toe caps protect the feet from impact. 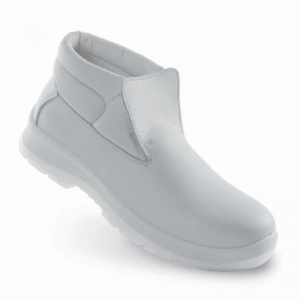 The boots help enhance safety and protection in the indoor work environment.